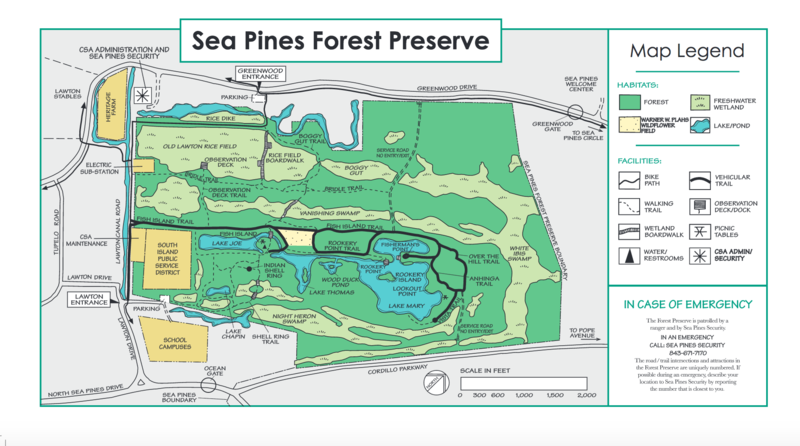 The island’s first private resort, Sea Pines Plantation – developed by Charles Fraser in the late 1950s – is still the largest and best known. It spans 5,000 acres and encompasses the southern third of the island. 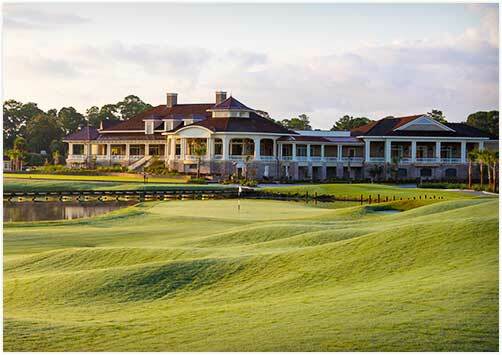 It’s home to hundreds of condos (called “villas” on Hilton Head) and homes, as well as a 60-room boutique hotel. A $6 entrance fee is required. Running options include an extensive network of bike trails, and trails within the 650 acres Forest Preserve, It is 1.5 miles east-west and 1 mile north-south. The paths are a combination of paved, hard packed sand, gravel, and grass (see map). 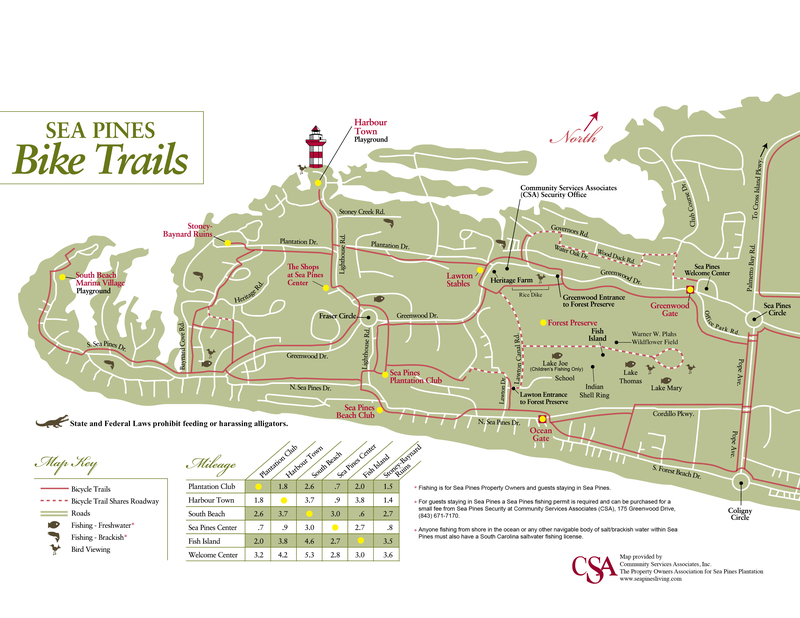 Good options for runners are the north-south paths along the Lawton Canal, between N. Sea Pines Dr. and Greenwood Dr., and the east-west Bridle Trail, toward Shell Ring. 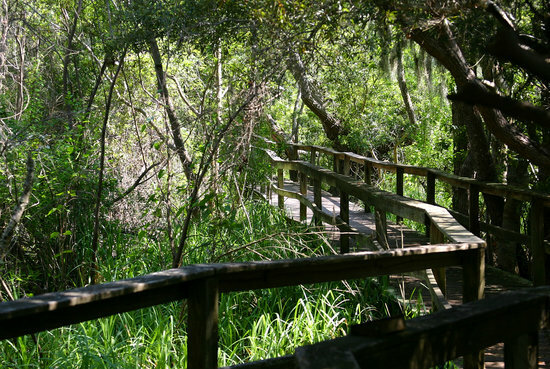 There are wonderful boardwalk trails, views of hanging moss, a Wildflower Field that bloom between March and June, and the Lawton Rice Field, with great marsh and wildlife views. There is also an extensive network of paved bike trails that are good for running (see map). It is ~ 1.5 miles east-west and ~ 1 mile north-south.